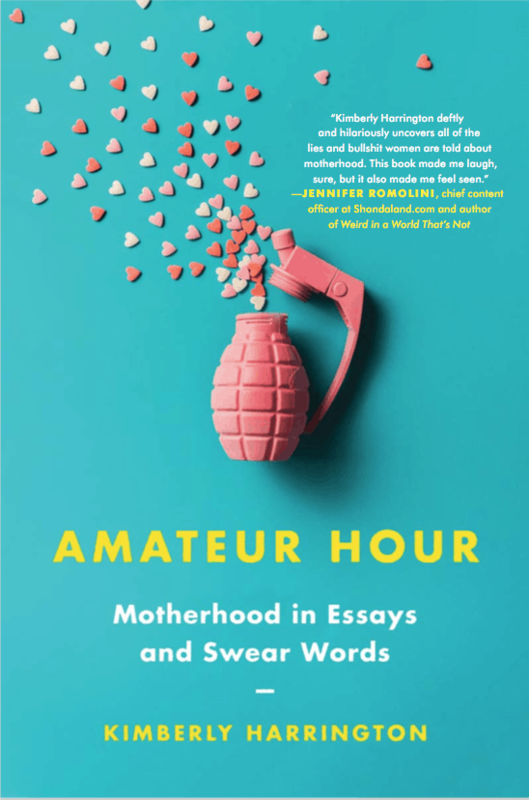 Welcome to essayist Kimberly Harrington’s poetic and funny world of motherhood, womanhood, and humanhood, not necessarily in that order. It’s a place of loud parenting, fierce loving, too much social media, and occasional inner monologues where timeless debates are resolved such as Pro/Con: Caving to PTO Bake Sale Pressure (“PRO: Skim the crappiest brownies for myself. CON: They’re really crappy.”) With accessibility and wit, she captures the emotions around parenthood in artful and earnest ways, highlighting this time in the middle—midlife, the middle years of childhood, how women are stuck in the middle of so much. It’s a place of elation, exhaustion, and time whipping past at warp speed. Finally, it’s a quiet space to consider the girl you were, the mother you are, and the woman you are always becoming.